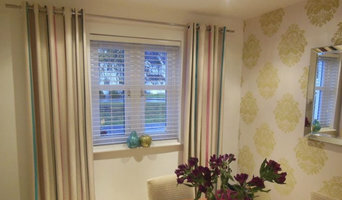 Your local window blind and shutter company, Sunrite Baileys have over 40 years experience of supplying and manufacturing blinds to our customers in Edinburgh, the Lothian and Border regions and throughout the east of Scotland. Our aim is to inspire our customers into creating the perfect look for their homes with the highest quality window dressings. We specialise in made-to-measure blinds, curtains and shutters however also offer seasonal products including summer awnings. To book a free appointment, give us a call today! Experienced Window Blind Manufacturer For Over 25 Years Established in 1990, our company has grown our blind manufacturing operations to our current 30,000 sq ft factory that enables our highly trained staff to deliver a wide range of innovative systems to a high specification. Our commitment to delivering excellent customer service and high quality products has made Rainbow Blinds one of the UK’s leading trade suppliers in the blind industry. 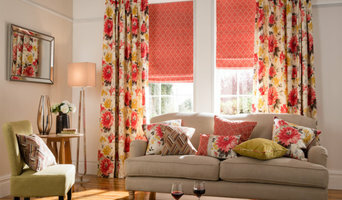 Made to Measure blinds online retailers, Averco deliver high quality products across Great Britain. Part of the GC Group, the largest family-run window blind & shutter company in the UK, we have over 60 years in providing the highest quality window blinds to our customers. 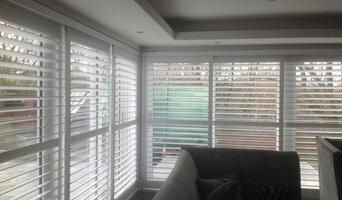 From wooden blinds to rollers, venetians to romans you will find the best blinds for your window. Indoor window coverings - from Venetian blinds to Roman shades or custom-made drapery - are a signature element of a Rosewell, Midlothian, UK home’s style — plus they have has the added values of baffling noise and increasing your home's insulation against the elements. Window treatment professionals, designers, vendors and manufacturers often specialise in different types of window coverings. Some handle shutters and/or blinds, while others work primarily with fabric treatments such as swags and valances. Still others focus on high-tech automated shades or louvers. But regardless, your Rosewell, Midlothian, UK pro can advise you on the pros and cons of the material and style that interest you, as well as help you determine whether prefabricated window coverings are the best choice for your space, or whether custom versions would be ideal. If you are looking for a more tailored result - designer curtains, custom shutters or other bespoke curtain styles - A window treatment professional might work closely with a Rosewell, Midlothian, UK interior designer or house decorator to widen your options. Here are some related professionals and vendors to complement the work of shutters, blinds & curtains: Windows, Interior Designers & Decorators. Find a window covering professional on Houzz. Narrow your search in the Professionals section of the website to Rosewell, Midlothian, UK window coverings. You can also look through photos to find examples of Midlothian window treatments that you like, then contact the professional who worked on them.